Stop Paying Too Much For Insurance Click, Buy & Print Now! Auto Insurance As Low As $29 Down! Since 2001, Auto Insurance Discounters has provided the most affordable auto insurance coverage to our clients. We can provide auto, boat, business, motorcycle and SR-22 insurance. Auto Insurance Discounters understands that everyone has a unique driving history. We want to find you the most comprehensive and affordable coverage. We can also find a policy that covers you regardless of your record. 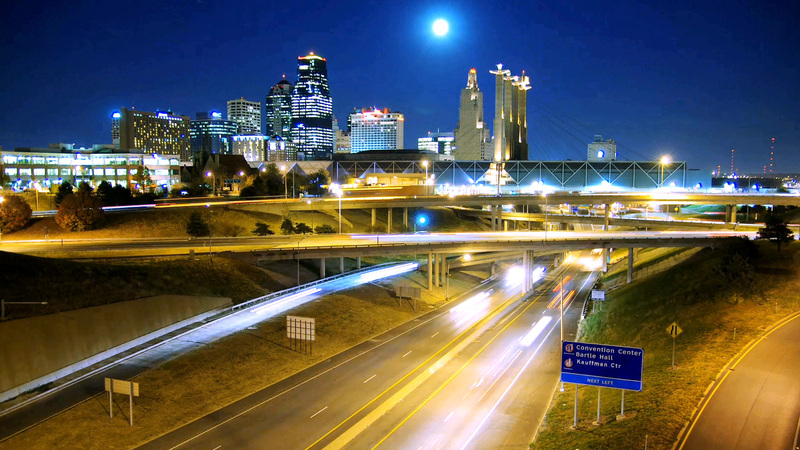 Auto Insurance Discounters is licensed to sell insurance in four states: Kansas, Missouri, Oklahoma and Texas. Whether you live in Kansas City, St Louis, Topeka, Wichita, Oklahoma City or Dallas, we can get you affordable coverage that meets your state's insurance requirements. Get in touch with us today to get insurance for your assets in these areas. While we cover a large area, we are a local agency at heart, so you won’t ever have to worry about getting in line to talk to one of our agents. We can compare the policies of different providers to get you the right coverage at the best price. This is about as good as "Insurance experience" can get. The staff is friendly and knowledgeable and they had the policies I needed to hit the road with coverage that I wanted at the best price in town. You need to see these folks regardless of the company you have or the ones that said no thanks…. These guys get it! – S. Johnson To view more or leave a review, click here! Auto insurance customers often need a lot of help as they navigate the insurance world. Searching for insurance can be a time-consuming process. Nowadays, it can take a long time to find the right policy. We understand you will have a lot of concerns, and our agents are happy to answer all your questions. Auto Insurance Discounters outshines our competitors when it comes to customer service. We handle all your policy needs quickly and professionally. Since our agents compare policies of many companies, we always get the right coverage at the lowest prices. Often, we can issue a policy with just one phone call. You don’t even have to come into our office. We want you to have the peace of mind of having coverage once you get off the phone. If you have a complicated driving history, you don’t have to worry about not being able to get coverage. Auto Insurance Discounters will happily assist drivers with checkered driving records. Our agency specializes in auto and SR-22 insurance. We are fast and efficient at assisting drivers who need to file SR-22 records. We can file an SR-22 record with the Missouri DMV. That way, we can get you back on the road quickly. Often, after you get an SR-22, you can get your license back in as little as 48 hours. We insure almost every type of driver. Whether you are young or old, have good credit or bad credit, we are here to help you get insurance that meets your needs. No matter what your insurance requirements are, we want to get you the best policy. Auto Insurance Discounters is here for you when you need us. You can reach us via our website’s online forms 24 hours a day, seven days a week, or by phone at (866) 288-6545. If you give us a call, we can often make changes to your policy over the phone. We are also glad to start a policy over the phone. We’ll get your policy started quickly and easily. 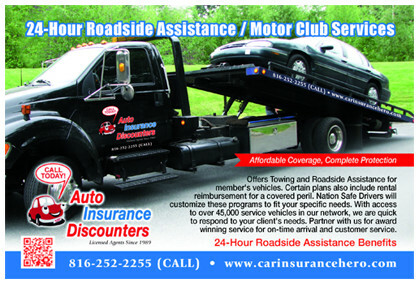 Offers Towing and Roadside Assistance for member's vehicles. Certain plans also include rental reimbursement for a covered peril. Nation Safe Drivers will customize these programs to fit your specific needs. With access to over 45,000 service vehicles in our network, we are quick to respond to your client's needs. Partner with us for award winning service for on-time arrival and customer service. Give us a call at (866) 288-6545 to learn more!